Many of us have attempted to lose weight over the years – often dieting to the maximum and yet still not being able to lose weight. We turn to food for comfort whenever we are angry, frustrated, bored, lonely or even when we’re happy. Food is our drug of choice. On Dr. Oz’s TV show, this was the feeling of many an audience member when the subject of weight loss was brought up. But Dr. Oz is an open-minded and progressive doctor and surgeon, who isn’t afraid of trying new techniques and methods of helping people overcome their addictions. McKenna demonstrated hypnosis on several audience members, putting them into a state of relaxation. The audience members afterwards stated that they didn’t remember the actual words he used, but that the effects they did feel. They felt very relaxed and good. Just as McKenna had demonstrated. Hypnosis is a procedure that connects us with the unconscious mind, McKenna stated, coupling the procedure with relaxation and concentration. It taps into the mind’s ability of creativity and automatic responds. You cannot make changes in your life that you don’t want, McKenna said, only what you do want to change. McKenna demonstrated with various audience members, putting them into an altered state of consciousness. There are two main eating dysfunctional eating patterns – that of emotional eating and that of obsessive dieting. McKenna used his techniques on both types of eating patterns with success as demonstrated on Dr. Oz’s show. He also provided a hypnosis session on the air with both the audience members and watching audience – proving that long-distance hypnosis is truly possible. Hypnosis for weight loss is a proven and safe method. Would Dr. Oz endorse this method if it wasn’t? 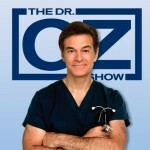 Sid Acker is a Master Hypnotist who can do the same for you as McKenna did for Dr. Oz’s audience members. If you’re struggling with weight, Sid can help you your situation using many of the same types of techniques and methods shown on TV. Call him today and you can gain control of situation now. Directions: Exit Green Oaks Blvd. from I-20. Go North on Green Oaks Blvd., turn on Little Road. We are across the street from Braum’s. Our office is located upstairs in “The Oaks Office Center”.